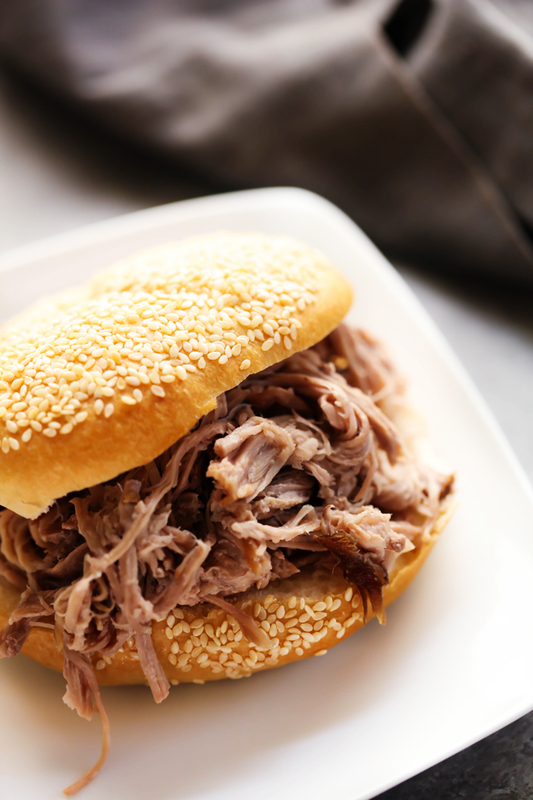 This Slow Cooker Kalua Pulled Pork is a flavorful and fantastic dinner! 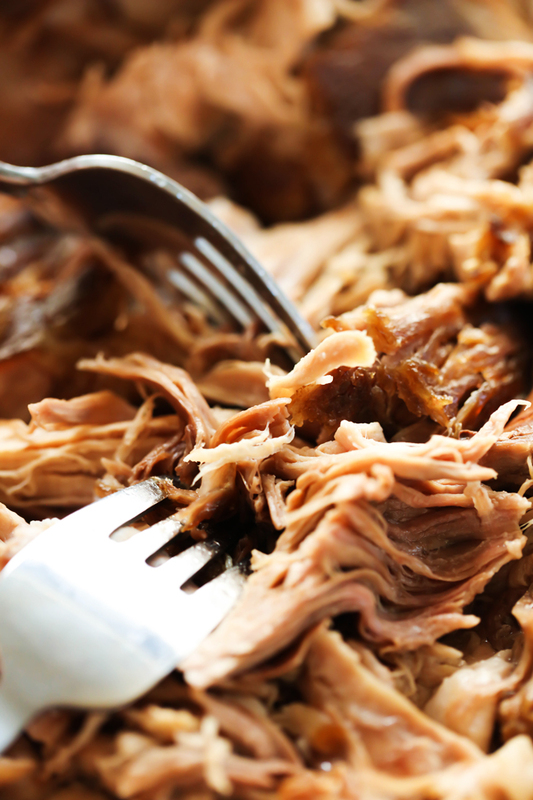 It cooks to perfection all day in the slow cooker until it is tender, juicy and absolutely delicious! 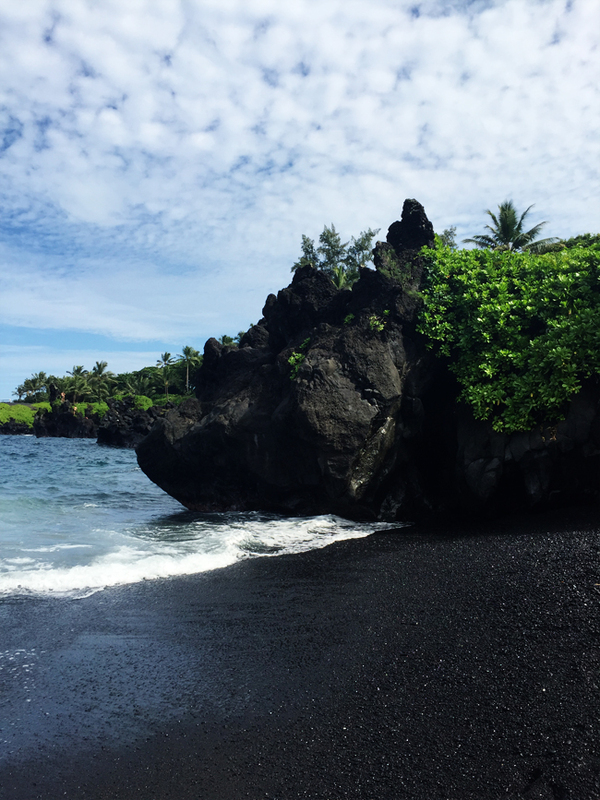 I recently went to Hawaii for the first time in my life a few weeks ago. It was such a fantastic experience as I enjoyed not only the beautiful island of Maui, but also the delicious culinary journey! It was just my husband and I, which in a crazy busy life with 3 kids, a trip like this seldom happens. Like once every 5 years. 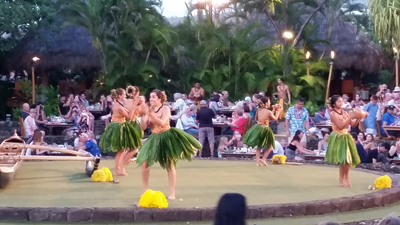 While there, we were able to get into a luau at Old Lahaina Luau and what an incredible experience it was! The food and entrainment were equally fantastic. (sorry about the poor quality phone photo). 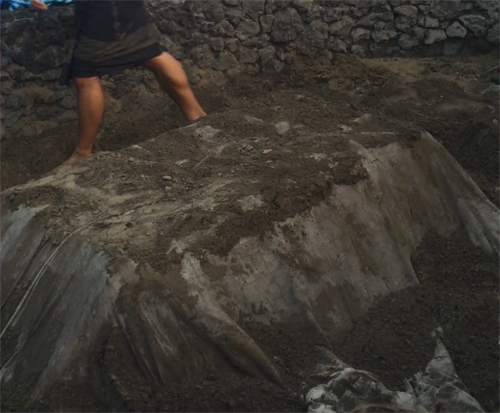 They use an “underground oven” to cook the pig, complete with rocks, banana peels, wire, cloth and dirt. It was such an amazing thing to see and even more amazing to eat the tender pork that had been cooking all day long. I knew when I came home I wanted to recreate that pork only in my slow cooker. 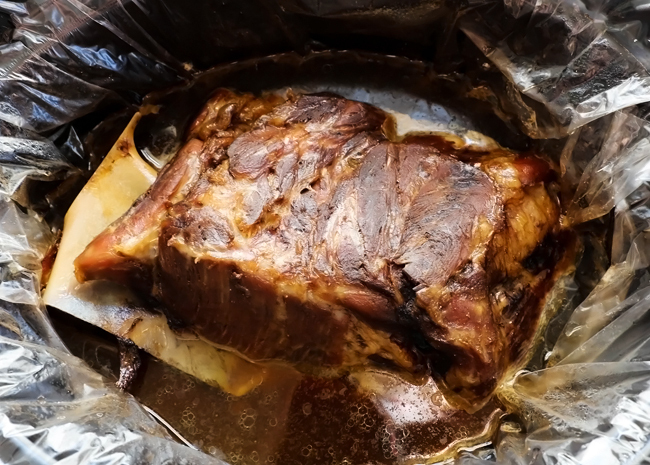 I was so pleased with my slow cooker and how tender the meat came out. It just fell away from the bone. This pork was adored by my whole family! I loved the low maintenance and that I could just let my slow cooker do all the work. We all devoured this meal and I know you will, too! Hawaiian sea salt, about 1 Tablespoon, enough to rub on each side of pork. If you can't find Hawaiian salt you can use Himalayan Salt as a substitute. Spray slow cooker with cooking spray or insert a slow cooker liner. I prefer the liner for an easy clean up. Rub salt into each side, using about ¼-1/2 teaspoon per side, less if desired. Next, pour and rub in liquid smoke onto each side of the pork.